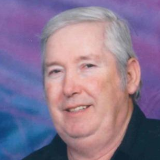 Bobby Joe “Bob” Helton, 69, of Smithville, Missouri passed away Sunday, July 22nd, 2018. Bob was born October 24th, 1948 to Grover D. and Helen L. Helton in St. Augustine, Florida. He grew up in Port Huron, Michigan then later moved to Lapeer Michigan. He graduated from Lapeer High School. On December 17, 1967 he was united in marriage to Sharon M. Davis in Flint Michigan. In 1969 they moved to Kansas City, Missouri then moved to Smithville, Missouri in 1979.In October of 1966 he went to work for Ford Motor Company at the Sterling Heights Plant in Michigan, then later transferred to the Kansas City Assembly plant in 1969 where he retired after 30 years in 1996. Bob owned and operated the Ectonville Gas and Bait shop in Ectonville, Missouri East of Smithville on 92 Highway from 1986 to 2004.His true enjoyment in life was his children, grandchildren and great-grandchildren and would often ask when the kids would be coming over for a visit. He was preceded in death by his father, mother and brother Richard. Survived by his wife Sharon Helton of 51 years, three brothers Gary and wife Myrtle, Murry and wife Trish, and Brian; children, Tim and wife Mary, Paul, and Pam Coates and husband Michael; seven grandchildren, David, Dustin J., Dustin C., Brittany, Sarah, Adelynn, and Claire; six great- grandchildren, Hannah, Ryan, Taylor, Emerson, Jackson, and baby Marsh yet to be born. Visitation: 2:00-4:00 p.m. Sunday, July 29th at the Hixon-Klein Funeral Home in Smithville, 104 W. Church St. Smithville, MO.